Not wanting to rely on other manufacturers, we founded American Chemical Systems II in 2007 to provide a manufacturing source for our established network of customers, including restaurants, schools, nursing homes, retirement centers, hospitality and industrial customers. As we moved forward, we focused on creating new products, increasing efficiencies and improving formulas. Our products were now in the market and a hit with our own customer base. Distributors soon approached us, wanting to get in on the action. Our distributor chain now includes customers in the foodservice, nursing home, hospitality and industrial industries. Our product line has evolved to meet the needs of each of these customers. In 2011, we purchased a 20,000-square-foot manufacturing facility in Wichita, Kan. That's where all of our production occurs. 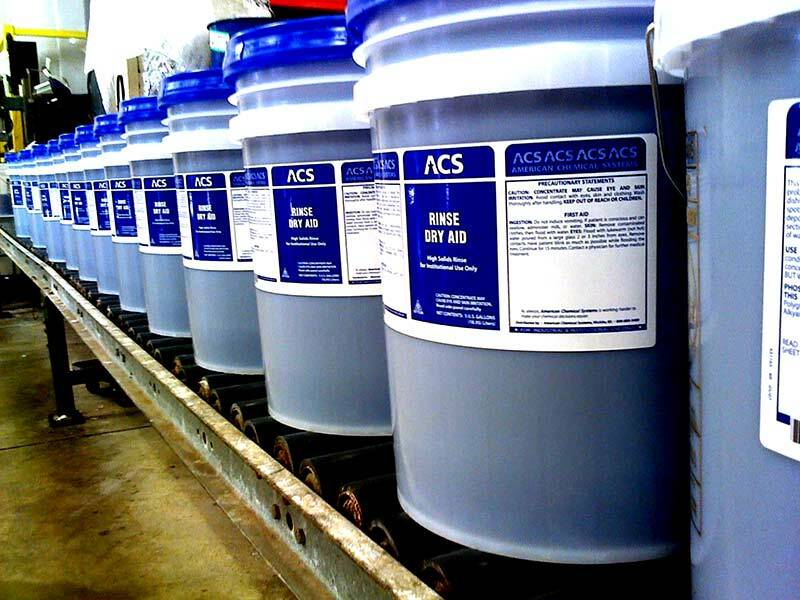 We manufacture liquid, powder and solidified products. Product lines include ware-wash, laundry, degreasers, presoaks, sanitizers, housekeeping, floor cleaners, specialty cleaners and aerosols. What are your needs? We can offer customized cleaning programs, formulations, packaging and solutions for any cleaning dilemma. Let American Chemical Systems II work with your business for a complete cleaning program designed to meet your needs. Want to understand the chemical business better? Have one of your chemical specialists attend one of our training seminars and/or spend some time with one of our specialists working directly with a customer. We have printed training manuals, charts, complete dispensing systems, dilution rate by product — everything you need to support the sales of chemical products. Need technical assistance with dish machines, laundry dispensers, cleaning applications or product uses? Call our office for answers. Allow American Chemical Systems II the opportunity to discuss your chemical needs. We look forward to a partnership of success.